I was fortunate enough to be asked to be part of the ‘For Pete’s Sake’ mini fashion show last Thursday. The event was hosted by PIA Galway and was to raise funds for a trust that hopes to provide much needed cancer treatment for Pete, an Oranmore man, aged 40, husband and father of 3, who was suddenly struck with an aggressive cancer last year. Following months of extensive chemotherapy it is now apparent that the only option remaining, is to travel to New York for life saving treatment and medication that is not available here in Ireland. Hosted by the lovely Denise Manning, the owner of PIA, and Sophie Small, the evening started off with complimentary wine and canapés provided by Delicious Catering and J&C Kenny. Guests got a chance to mingle, meet people and browse all the gorgeous clothes throughout the boutique before a short introduction from Claire Gannon from the trust and Denise and Sophie from PIA. Following that, I got the chance to give my top 3 hints and tips before the fashion show, which featured past and present Miss Galway’s, got underway. We were lucky enough for Leah Tiernan (current Miss Galway), Laura Fox (2013 Miss Galway), Nicola Corcoran (the current Galway Rose), previous Miss Galway Sophie Small and a special guest appearance from Pete’s daughter Molly, to give up their time and model for the show. Following the fashion show, Sene Naoupu from Sene Naoupu Health & Lifestyle Coaching was on hand to provide some hints and tips, which we all found extremely useful! Especially if it’s going to help us look as fab as she does! Overall it was a lovely evening and I was delighted to be a part of it – I even managed to come away with one of the spot prizes!. 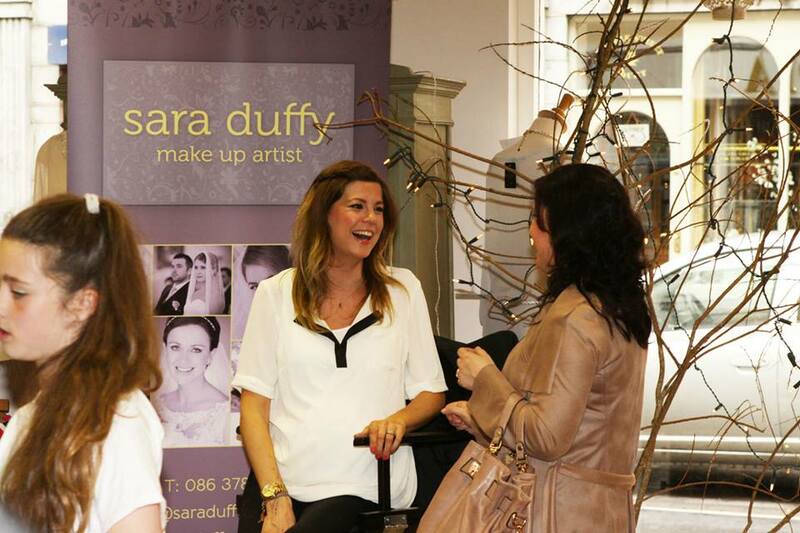 I loved providing tips to all the guests on techniques and products for their skin types and how to apply different types of make up. I also got the chance to meet Sinead Caroll from ‘Yummy Mummy Fashion & Lifestyle Blog’ and talk about the blogging community here in the West of Ireland. If you’re looking for a special outfit for a Communion, Christening, or the Galway Races, it’s definitely worth popping into see Denise as she will be only too happy to help you and choose outfits that will suit your body shape and style….she’s absolutely fab! I hope that the evening managed to raise a good bit of money for the trust. It surely was, was a lovely evening.